Quickly and easily design 3D block diagram from ready-to-use templates in minutes. An easy block 3D tool helps you design unique 3D block diagram faster than ever. 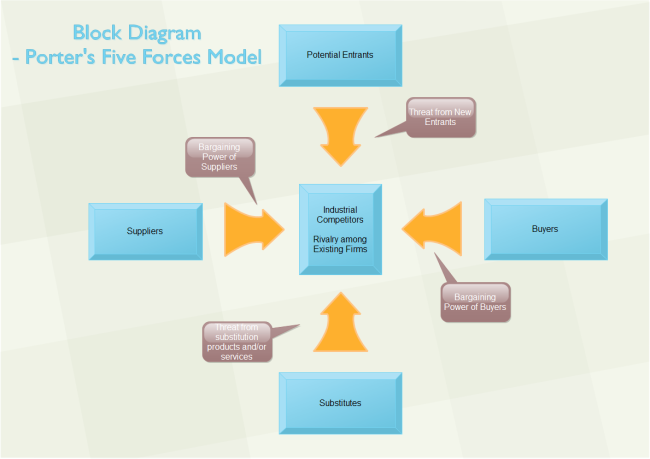 The block diagram template "Porter's five forces model" was created using the Edraw diagramming and vector drawing software extended with the 3D Block Diagrams solution. Only a few minutes are needed to complete this diagram since all elements are prepared in prior. Users just need to drag and drop or copy and paste shapes, and then double click shapes to enter text. You can get more five forces charts examples. 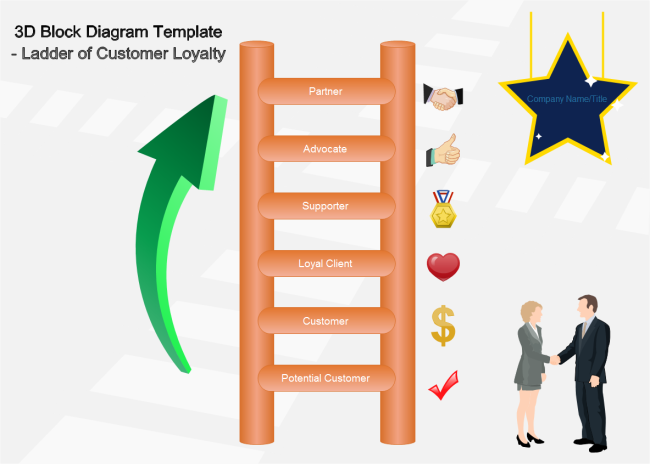 3D block shapes form a better visualization to display the ladder of customer loyalty. This is a quite succinct ladder diagram showing the change of buyer/seller relationship. If you need more detailed information, add a text box besides the ladder and inert description. Potential Customer/Prospect: not yet purchased: Someone whom you believe may be persuaded to do business with you. Customer - trialist: Someone who has done business just once with your organization. Loyal Client - repeat purchase: Someone who has done business with you on a repeat basis but may be negative, or at best neutral towards your organization. Supporter: Someone who likes your organization, but only supports you passively. Advocate: brand insistence: Someone who recognizes your work and actively recommend you to other people, which is beneficial for your marketing. Partner: Someone who has the relationship of partner with you. This template is suitable for presenting a topic from 6 perspectives. 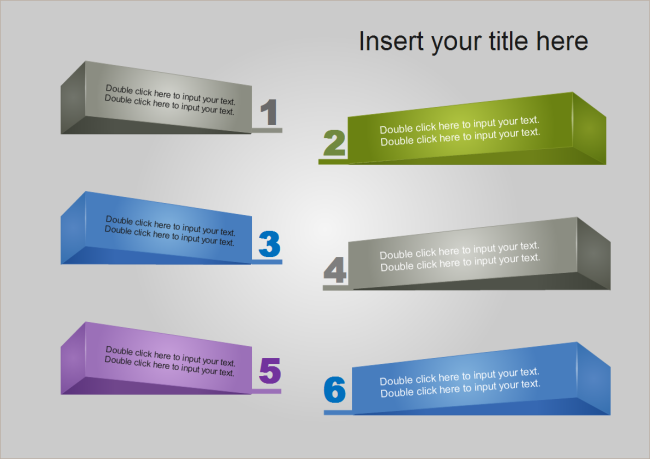 Similar presentation templates can be found in 3d Block Diagram Template and Cubic Hexagons PowerPoint Template. Unlike MS PowerPoint whose text box and shapes are separate, Edraw's attached text box acts as a property of the shape and moves in tandem with that shape. See more amazing features of Edraw in Comparison of Microsoft Visio VS Edraw.